I didn't think it would be this hard to teach sharing to Sadie, but its proven to be very difficult. 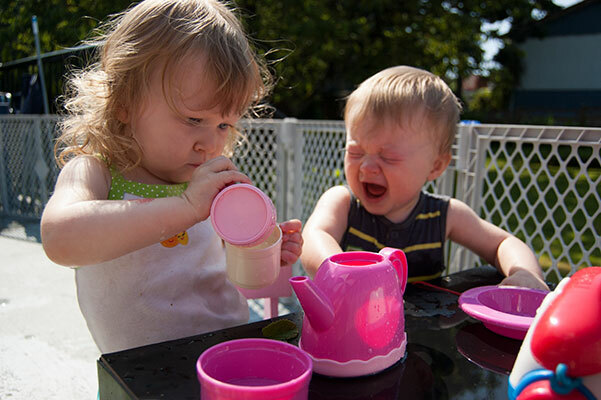 This was a very sad tea party. Mostly because Sadie wouldn't let her brother have any of her toys. I also realize that Lucas is at an age now where if he doesn't get his way, a full blown fit will occur. It was bound to happen. I think every attempt I make to teach sharing has them both crying in the end. I usually grab an unused toy from Sadie and give it to Lucas, and then she cries and wrenches it back making him scream all while I'm trying to take it back from her and say "Sadie, we need to share with Lucas". Nope. That is not working. They are still pretty little though. These photos make me laugh every time though. 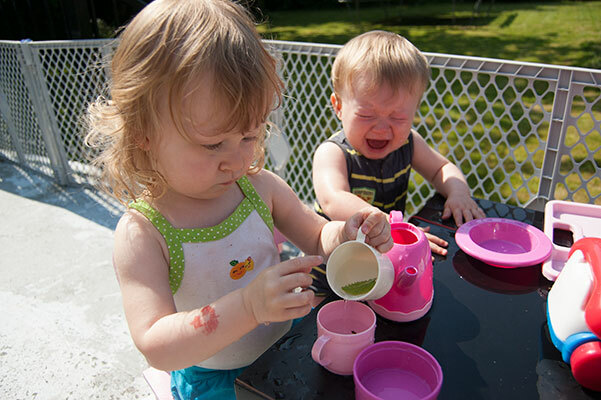 Sadie calmly pouring her "mint" tea and Lucas just Wailing. You can even see the pout begin in the top one. I have pictures like this. The look on Sadie's face is priceless. whaaa, these are my toys, whatevers baby. My first two are 12 months apart and had though they had their moments- they had very little trouble sharing. 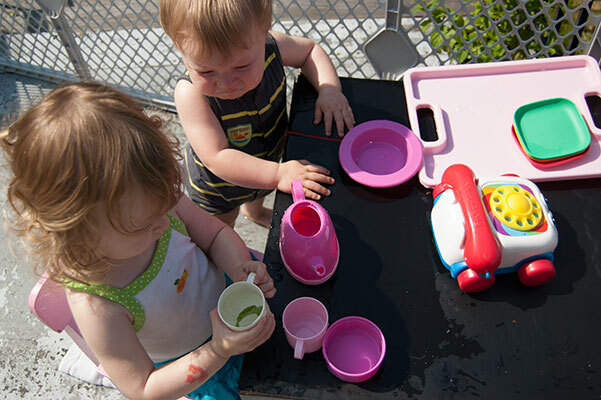 The Bkids are are 20 months apart and they were like 2 rattlesnakes in a shoebox. The sharing took longer, but it did come. I think it boils down to disposition though. My girls are very different. One is much more 'selfish' than the other. Lucky for me the corresponding selfish younger brother was paired with the unselfish older sister and the calm younger brother with the selfish older sister. God helped me a little perhaps. all that to say... no advice. Treasure the photos. Keep encouraging. (I didn't always make them share either) Maybe keep your eyes peeled for some thrifted items that are dubbed his tea set. Often at this age they play beside eachother but not really with eachother... if that makes sense. 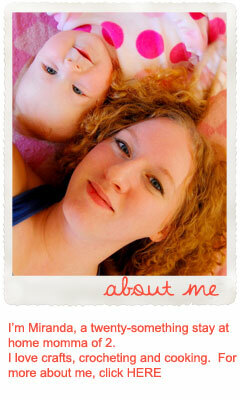 Your kids are adorable :) So glad I found your adorably named blog! I blog at Sunny with a Chance of Sprinkles so seeing another "sprinkles" blog made me smile! And in my experience (which is only working at a daycare for 18 months, kids between 0 and 4yrs), once they get a little older (and they get the good example most of the times) they develop a little more empathy and things get better! Also, let Sadie pick toys for Lucas, maybe?